Guest post by Caleb Anderson. People with drug and alcohol addictions are generally not the healthiest of people. A substance abuse disorder is a type of self-harm, involving a lack of self-esteem. Drugs and alcohol make it harder to love yourself. As a result, you won’t take care of yourself. When you’re in recovery, you have to rebuild your life, physically, mentally and emotionally. A big part of the process is cleaning up the mess that addiction made and that includes rebuilding your physical health with exercise. 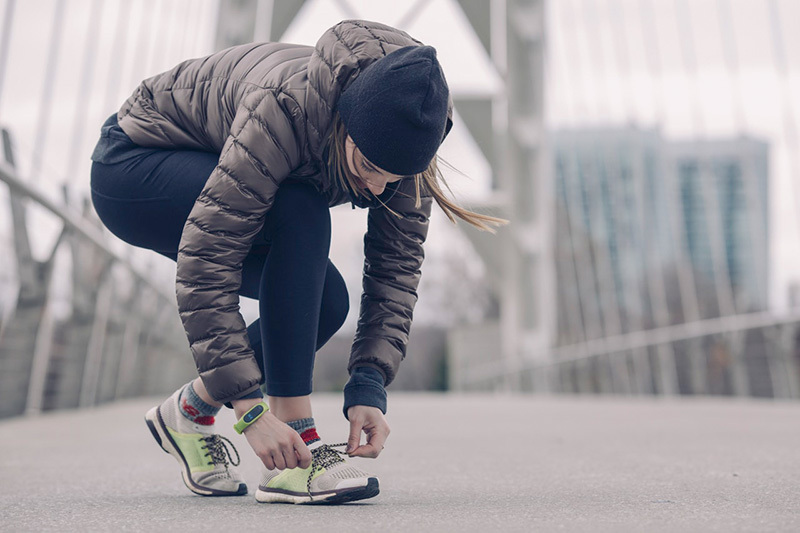 Studies show that moderate exercise, for as little as 30 minutes a day, five days a week, can significantly improve health outcomes and cut down on the chances of relapse. When your body is engaged in aerobic activity, your brain produces endorphins, chemicals that act like pain relievers and antidepressants, elevating your mood and giving you a sense of well-being. This is the fabled “runner’s high” you’ve heard so much about, but it happens with any strenuous physical activity. Power walking, aerobics, jogging, bike riding, swimming, dancing and many other enjoyable activities can generate a feeling of optimism and self-assurance. Many people find that regular physical exercise helps them to combat symptoms of depression and anxiety as well. For people in recovery from addiction, it can help them to combat the stressors that tempt them to use again and can help them to think more clearly, putting their problems into perspective. Physiologically, it promotes agility and mobility and increases immune response, as well as helping to build stronger bones and muscles. The best exercise is the one you enjoy doing. Any movement is better than none. But aerobic exercise, the kind that gets your heart and lungs working, will have the greatest benefit for your health. So consider hiking, bicycling, or jogging. If you can get outside to do it, so much the better; studies show that green exercise offers specific benefits for improving your mental and emotional state. Exercise taken outdoors in the fresh air and sunshine makes people more relaxed, tranquil and happier. It also confers the added bonus of elevated vitamin D production and enhanced production of killer T cells, which attack invading viruses, helping you fight off illness. Non-strenuous physical activity has its benefits, as well. Yoga, tai chi and meditation all work to promote mindfulness and learning to focus on the moment. Physical stretching exercises help you to retain agility and mobility, and can improve muscle tone and overall strength. Yoga in particular helps to protect against the ravages of degenerative diseases like arthritis. It can help prevent bone loss, and encourage better circulation. Your exercise regimen needs to be part of your total way of life, not just while you’re in recovery. It’s important to move, each and every day, but you need not do the same thing all the time. Mix it up, join an exercise class that meets once a week, make appointments to go bike riding on the weekends, and spend a little time each day going through your yoga poses and focusing on your breathing. You need not do it all at once, either. Studies show that breaking your exercise up into 10-minute periods throughout the day is just as effective as doing a half hour all at once. Make your workout part of your daily life, comprised of activities you enjoy doing. With it, you have a powerful tool to combat cravings and deal with stressful triggers that will serve you well for years to come. Thank you Caleb from Recovery Hope for writing this guest piece for us. If you or someone you love is struggling with addiction, we are here to help.